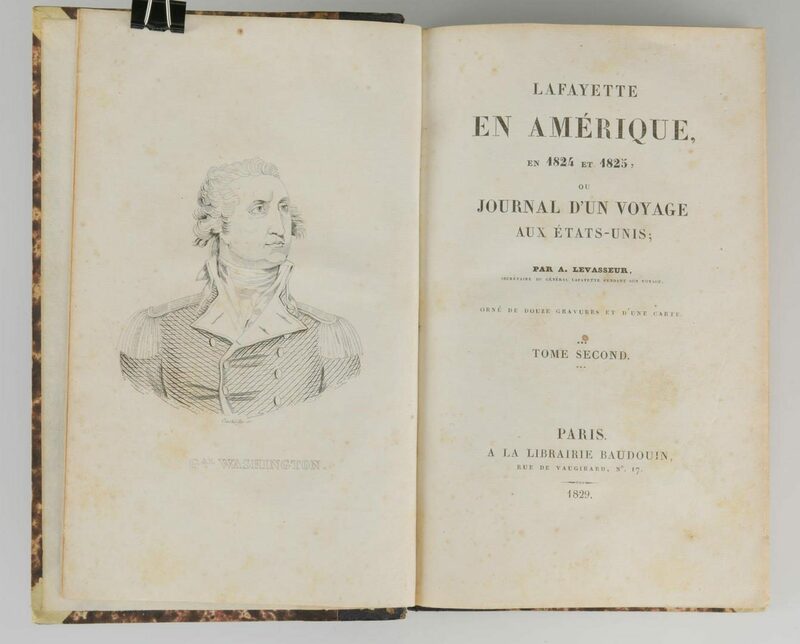 Lot 146: Levasseur, Lafayette AmÈrique 1829 with MAP. 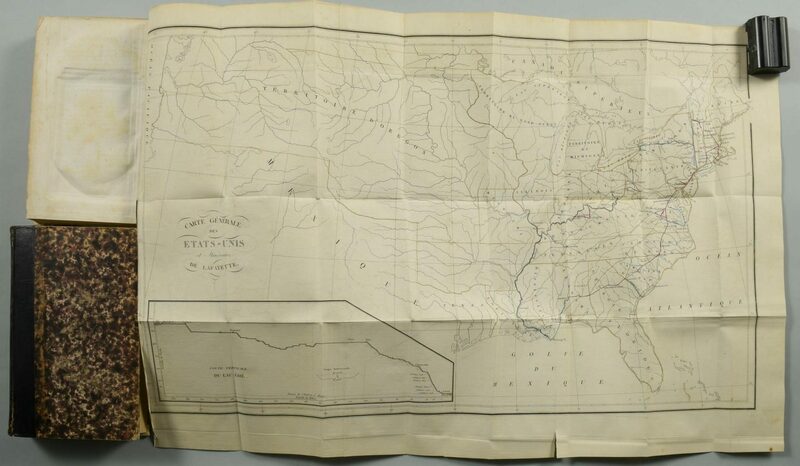 You are here: Home >> October 22, 2016 Fall Auction with Online & Absentee Bidding >> Lot 146: Levasseur, Lafayette AmÈrique 1829 with MAP. 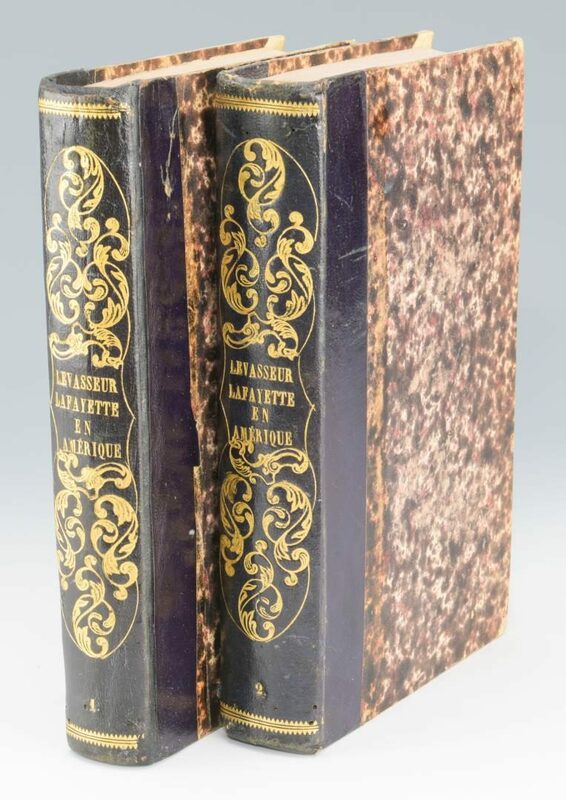 Levasseur, August [AndrÈ-Nicolas]. 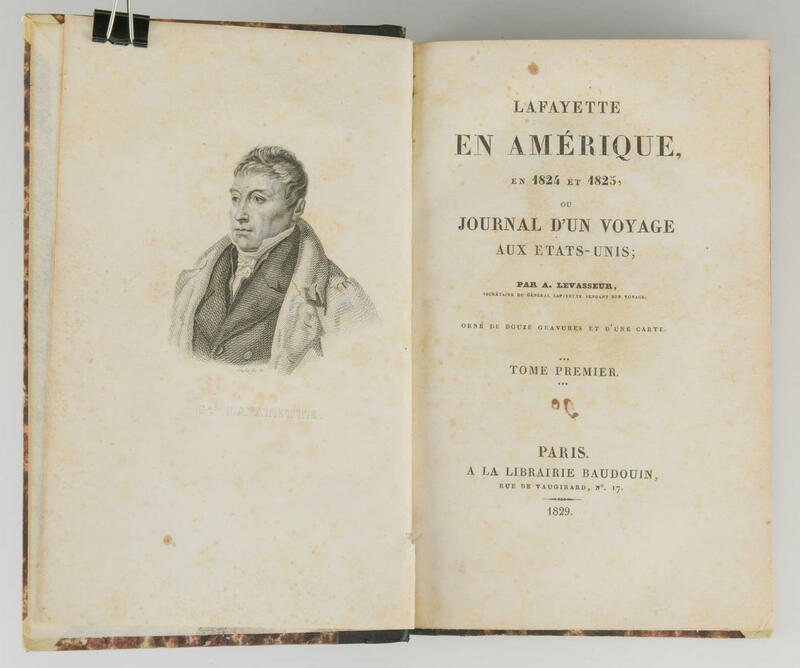 Lafayette en AmÈrique, en 1824 et 1825, ou journal d'un voyage aux Etats-Unis. 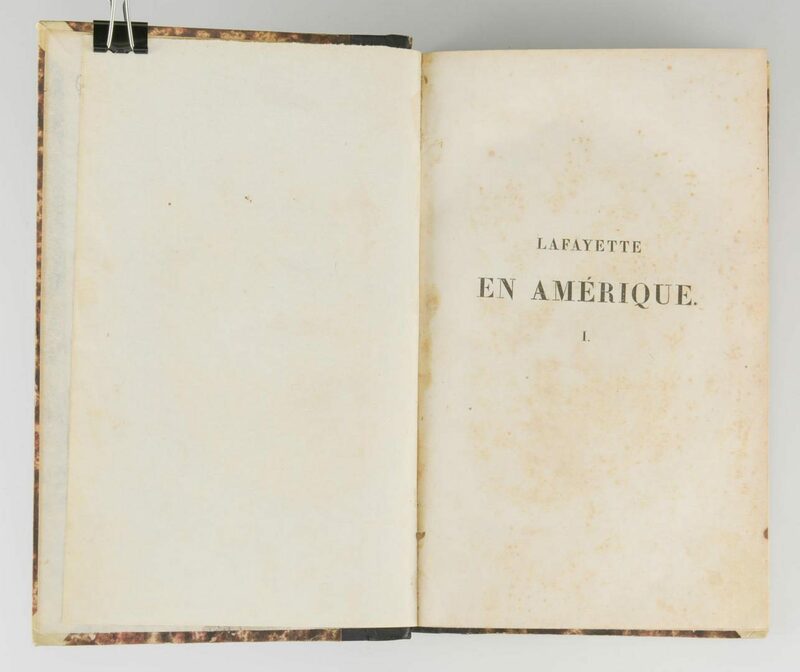 Lafayette in Amerique (two volumes). 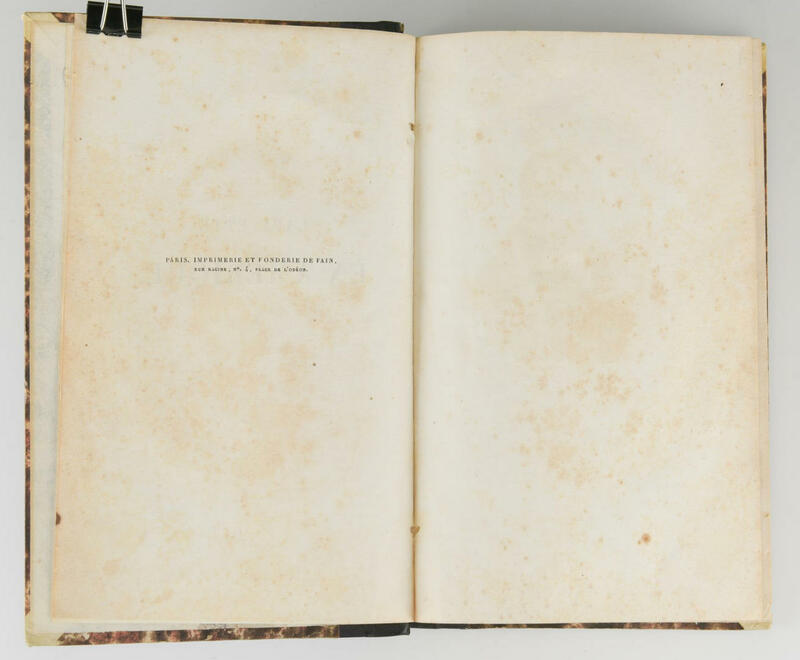 Paris: A La Librairie Baudouin, 1829. volume 1: iv, 509pp., folded map; volume 2: 632 pp. Quarter leather bindings. 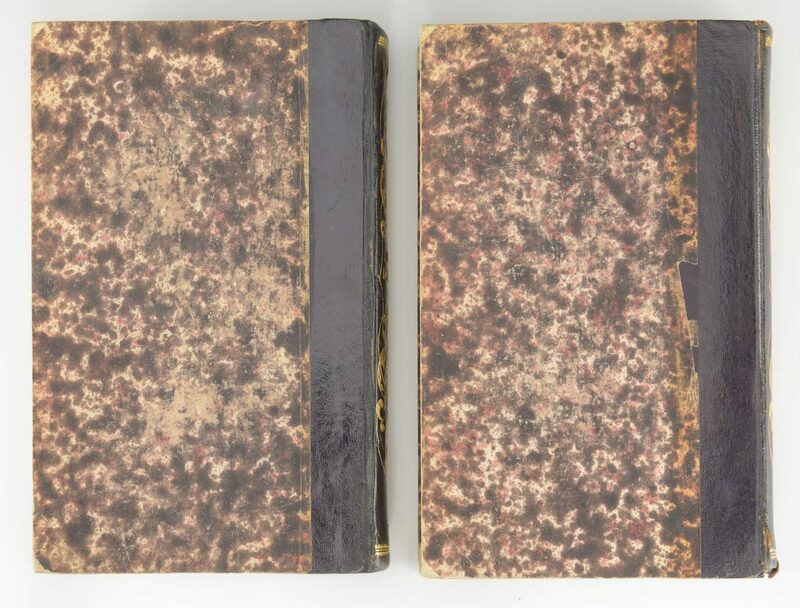 Fold out map at end of volume 1 in very good condition with a couple of short closed tears approx. 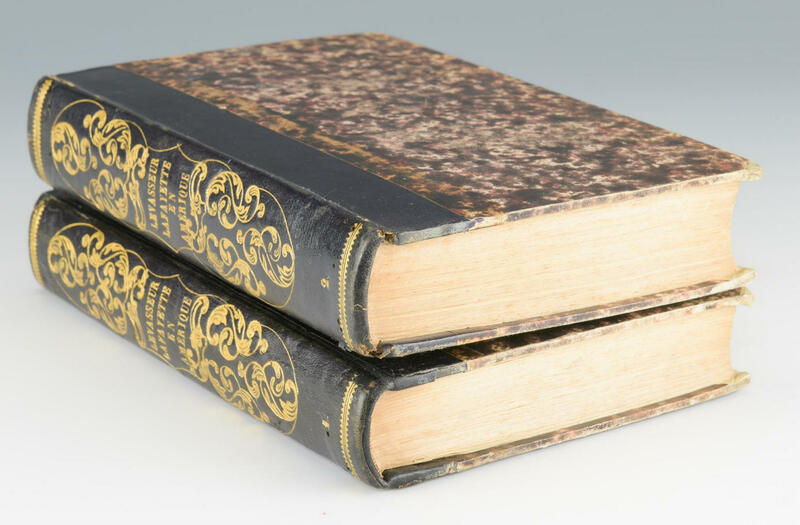 an inch each. 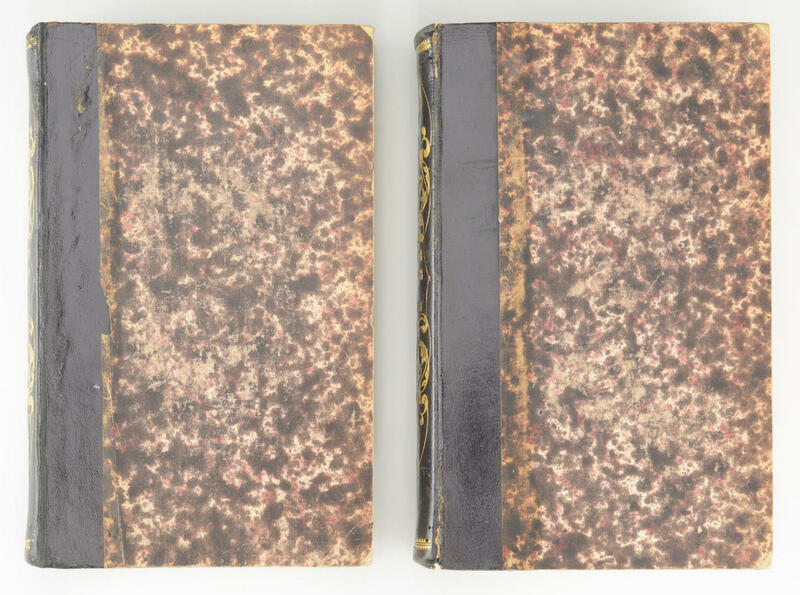 Each volume – 8 1/2" H x 5 1/2" W x 1 1/2"D. Map: Image – 15 1/4" H x 24 3/4" W. Sheet – 17 3/4" H x 26 1/4" W. Collection of Charles and Ann Wells, Nashville, Tennessee. CONDITION: Fold out map at end of volume 1 in very good condition with a couple of short closed tears approx. an inch each.